MOTOTRBO Telephone Interconnect brings all the benefits and functionalities of corporate unified communications to digital radios, enabling industries to operate under one private business critical mobile telephony network. This product allows digital radios to communicate with phones while accessing familiar telephony features. The software application is installed on MOTOTRBO digital radios as well as onto a standard server which connects radio networks to the telephony world. 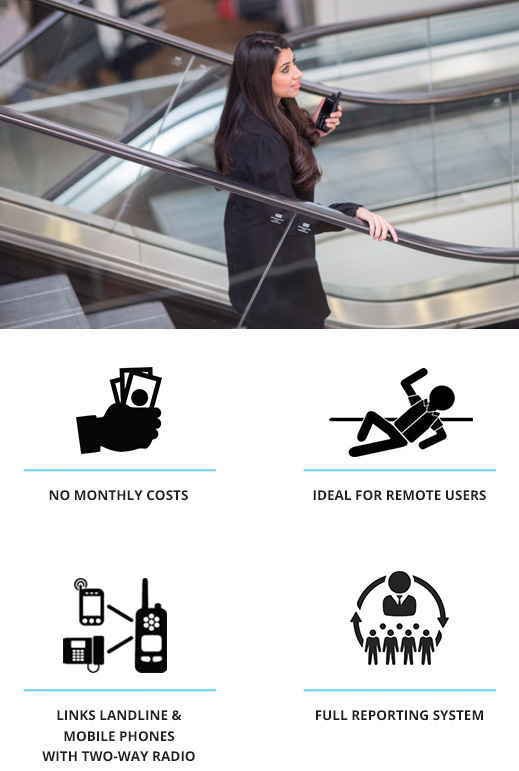 The solution is a cost-effective alternative to mobile phones and Wi-Fi telephony systems for corporate mobile workforces. Remote radio users in distress have instant access to emergency channels from locations where there is little, or no mobile phone coverage. 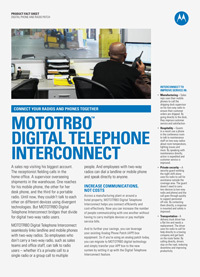 Eliminate recurring mobile phone costs by implementing MOTOTRBO Telephone Interconnectand extend your telephony network’s footprint. An interconnected radio system is a ccost-effectivealternative to expensive Wi-Fi telephony systems; while Wi-Fi networks need access points in every room, two-way radios only require a repeater that can cover a radius of up to of 20 miles; penetrating effectively through walls and ceilings. This solution provides better coverage at a fraction of the cost. It gives supervisors and managers the ability to reach employees on their radios from any phone, anywhere, anytime. Moreover, individual radio users and talk groups can make and receive phone calls allowing them to stay connected with management. 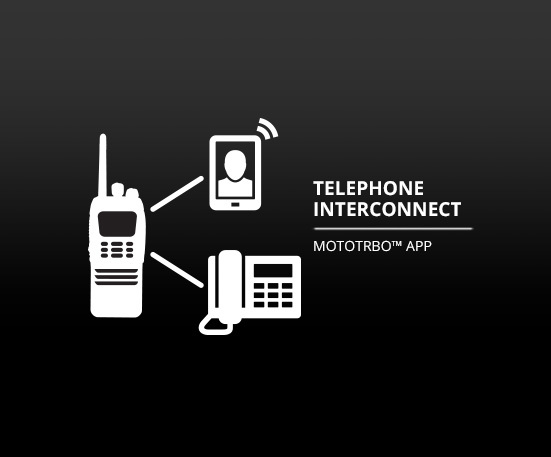 MOTOTRBO Telephone Interconnect provides mobile telephony coverage where mobile phone providers cannot. By enabling telephony on your radio network, it leverages the powerful range and in-building radio penetration of digital communications. It allows users to place and receive calls anywhere within a 20-mile radius of the radio infrastructure. You achieve greater control over your private mobile telephony network reducing your dependency on mobile phone carriers and allowing employees to stay connected all the time – whether it be from an underground parking lot or a remote campus location where mobile phone providers are unable to provide coverage. Where could you use MOTOTRBO Telephone Interconnect ? • Manufacturing – Sales reps uses their mobile phones to call the shipping dock supervisor on his two-way radio to ensure their customer orders are shipped. By going directly to the dock, they improve customer service and satisfaction. • Hospitality – Guests in a resort use a phone in the conference room to talk to maintenance staff on two-way radios about room temperature, lighting issues and more. By speaking with maintenance directly, action is expedited and customer service is improved. • Private security – A security guard working the night shift alone uses his radio to call for assistance outside the coverage area. The guard doesn’t need to carry two devices (a two-way radio and phone) and the call goes through quickly to support personnel off-site. By contacting them directly, a response is mounted and safety is improved. • Transportation – A delivery truck driver has a flat tire and needs a replacement. The driver uses his radio to call for help directly to a towing company and get back on the route faster. By calling directly, drivers stay on the road, reducing downtime and improving productivity.